Spend Christmas together or not? Should I buy him a gift? These decisions are very important in a relationship. This year was the right one for you, even if your relationship is recent you have found your soulmate. We have already arrived at the winter holidays. Christmas is the perfect time to end up with family, loved ones and to make everyone happy. This is also the time for you to make decisions about your couple. Where are you going to spend Christmas? Should you spend it together or separately? Should you buy him a gift and, if so, how much should you devote to it? Would it even be appropriate to buy him a gift or to invite her to your family? At first glance, these choices may seem insignificant. The fact of doing them without thinking too much can lead to feelings of embarrassment, embarrassment or even tension, as Anaïs, 32 years old, discovered it last Christmas. Passionate about her new love, she did not think twice before embarking on buying a designer watch for her Christmas present. He simply took her to the restaurant the day after the gift was received, for a low-priced dinner. “It was very embarrassing. I ended up feeling like I was bribing him or pushing him to be with me. I don’t think I’ll buy anything this year, “she says. The problem with Anaïs seems to be the fact that she always turned around the pot to propose this time. If she had asked herself and had discussed her expectations with her man, it would have avoided all of these annoyances. So how do you go about offering Christmas gifts? “Geoffrey, a 31-year-old photographer, shares the criteria he used to buy a gift for his new love last Christmas. He was content with an experiment instead of an object. She was happy and at the same time the experience was beneficial for their relationship. “I knew she’d always wanted ice skating. On Christmas Eve, I took her to an ice skating rink in Paris. She was really thrilled, “he recalls. Past the stage of the gift it remains the most important question: where will you spend Christmas? In a new relationship, this decision is a major step in a couple. What should you consider before you make that decision? You should choose your partner rather than your family at Christmas only if your relationship is serious. Only if you want to know if your relationship goes beyond your daily love. The decision to spend Christmas with the family of the other, also depends on the existence or not of family tensions. These can quickly break a new romance. During the holidays it is not uncommon for alcohol to be present, which means that some family members might make you feel bad. 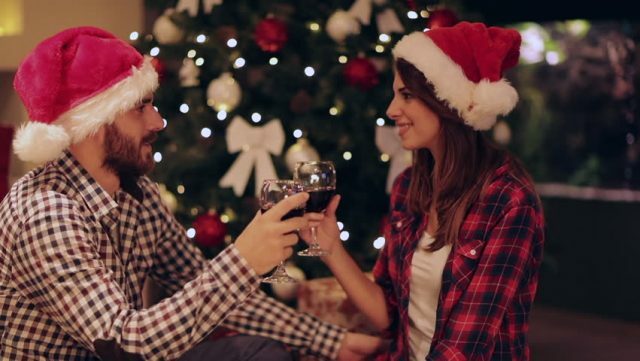 Patrick, a 38-year-old project manager knows, for this Christmas, his five-month girlfriend and he will not spend Christmas together. “I intend to do something with it before or after Christmas for the new year. On Christmas day, I’ll be home alone. She cannot meet the family yet, “he said. If you decide to invite your new love to spend Christmas with your family, it’s up to you to make sure that the day goes as well as possible. Talk to him in advance about the little things in the family, the family quirks or the boring family members he or she is required to meet. Those who are fortunate enough to have both families near geographically can share time at Christmas in each family. “We both grew up within five kilometers. It’s only been seven months, but our two families are aware of our relationship. We agreed to have lunch in a House and dine in the other. ” Aurore, 33 years old, shares her Christmas projects with her new love. If it is geographically possible, there is also the possibility of spending Christmas Eve with a family and Christmas day with the other. To conclude the effectiveness of either of these decisions in a relationship seems to depend enormously on how the couple communicates about their needs and expectations, so prefer dialogue and above all do not rob you, stay open to the discussion.